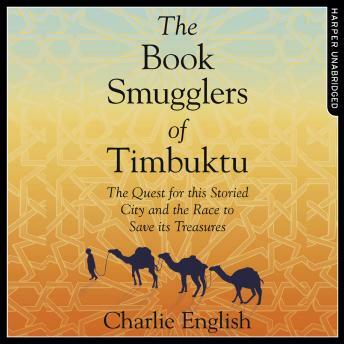 The fabled city of Timbuktu has captured the Western imagination for centuries. The search for this 'African El Dorado' cost the lives of many explorers but Timbuktu is rich beyond its legends. Home to many thousands of ancient manuscripts on poetry, history, religion, law, pharmacology and astronomy, the city has been a centre of learning since medieval times. When jihadists invaded Mali in 2012 threatening destruction to Timbuktu's libraries, a remarkable thing happened. A team of librarians and archivists joined forces to spirit the precious manuscripts into hiding. Based on new research and first-hand reporting, Charlie English expertly tells this story set in one of the world's most fascinating places, and the myths from which it has become inseparable.